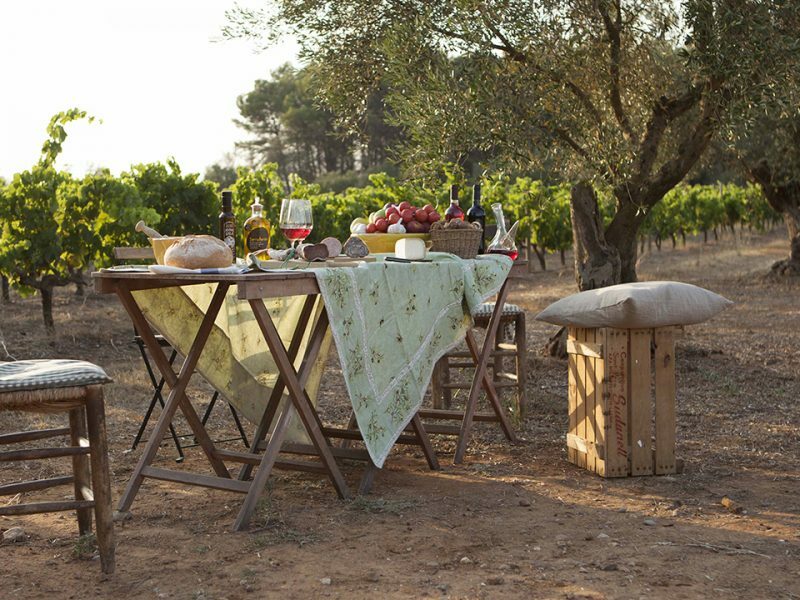 Extra virgin olive oil is the cornerstone of the famous mediterranean diet. 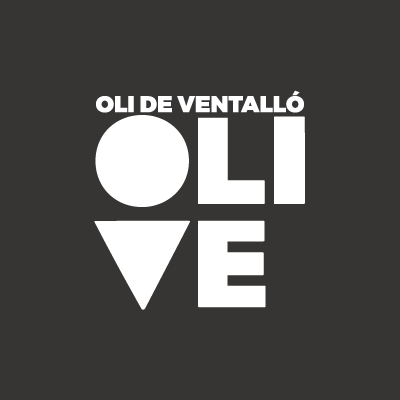 Nowadays, olive oil is consumed in every part of the world, but in our little corner of the world named Ventalló it’s especially characteristic and unique. Since extra virgin olive oil is simply pressed fruit juice without additives, the factors influencing its quality and taste include the land, the climate, the varieties of olives used, the region’s farming tradition and the countless decisions, production practices and the dedication of the producer, which give a unique personality to each olive oil. Its appropriate preparation in the cuisine provides vitamins and nutrients, not to mention the taste and the aroma of fresh olives which makes it ideal for its raw consumption in salads, as the basis of sauces, to season well-prepared dishes, or simply, to spread it directly on toasted bread. The culinary wealth of extra virgin olive oil and the benefits which it provides to our health, makes a growing number of people introduce it into their daily diet. Serraferran, Extra Virgin Olive Oil, is elaborated by the olives from the Argudell olive variety, from the centuries old olive trees, which gives them a strong character and a singular identity and strength to its taste with a hint of pungency and a deep aromatic complexity of apple, walnuts, almonds, artichoke and tomato, which combine with the rusticity of its fruity olive. Arbequina provides a fresh green olive fruity flavours with secondary vegetable aroma: green grass, banana, almond, walnuts and a taste of almond and it is a perfect balance between bitter, sweet and spicy and a strong astringent, that turns into an excellent oil. It’s an excellent olive oil to taste in the raw consumption, because of the taste flavour. It’s appropriate for the “carpaccios” and for most delicious meat and fish to be added at the moment of being cooked on the ember and on the griddle. It’s appropriate in salads, vegetables, creams and sauces. For the bakery and preparing chocolate, it can be used instead of the butter. Also, for children and people with a delicate palate. 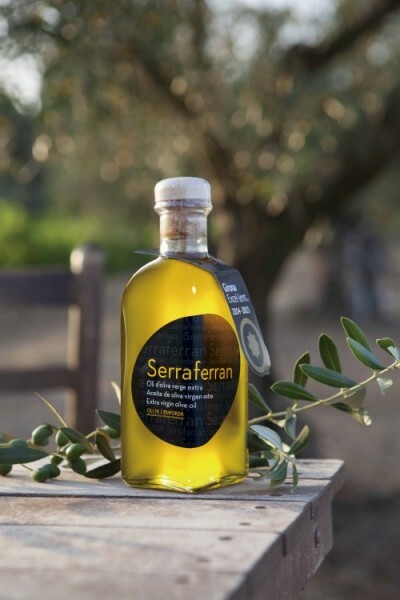 With all, Serraferran, Extra Virgin Olive Oil, will respect all your delicious meals and will give them a special touch, full of good memories and Mediterranean tradition. It will bring you to our culture roots, providing health, happiness and youth. We invite you to taste it! Anna Sala Trull de Ventalló Extra Virgin Olive Oil is the fruit of the work and the dedication between generations in the production of olives, the selection of high-quality olives and an accurate way to elaborate olive oil. 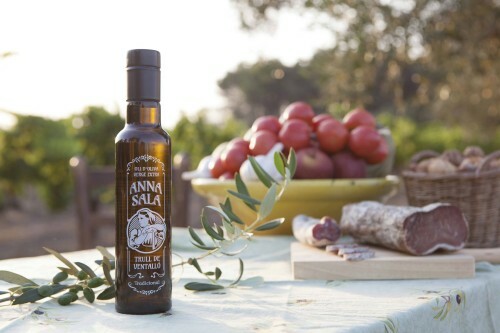 Anna Sala Trull de Ventalló is an Extra Virgin Olive Oil is aromatic and fruity, with traditional flavour. It has a strength and equilibrated flavour that’s why it’s the unique olive oil in the kitchen. It’s used in the preparation of the cuisine and to cook. An excellent option is to taste raw on bread with tomato, in salads and extending to fish and meat on the ember. It’s excellent also to be cooked, so it’s an olive oil that liquidizes in the pan and is excellent for frying. It provides a personal identity of the Mediterranean traditional cuisine. 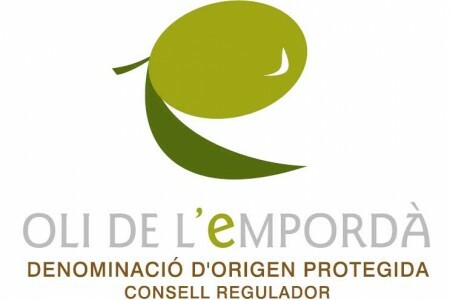 The Protected Origin Denomination, Oli de l’Empordà, founded in 2008, ensures the olive oil quality which is produced in both of the regions from the Empordà and some townships form the Pla de l’Estany and the Gironès. It is a certification promoted by the Agricultural, Food and Rural Department from the Generalitat de Catalunya and guaranteed by the cultivators and cooperatives.